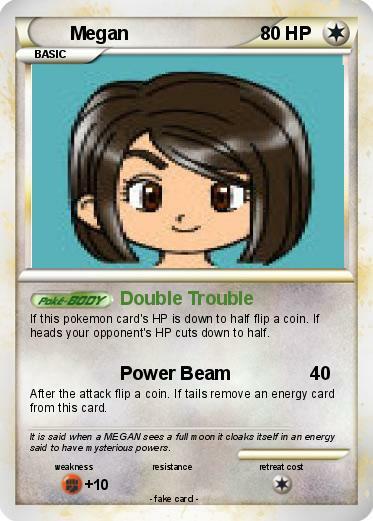 If this pokemon card's HP is down to half flip a coin. If heads your opponent's HP cuts down to half. After the attack flip a coin. If tails remove an energy card from this card. Comments : It is said when a MEGAN sees a full moon it cloaks itself in an energy said to have mysterious powers.